Every baby is worthy of feeling good, especially when they are so delicate and sweet as newborns. This is our super soft flurr blanket tired with a sheer wired satin ribbon, all ready for gift giving. You have to feel it to believe it......a super soft, silky, slightly furry feel that will absolutely caress a new baby's soft skin. 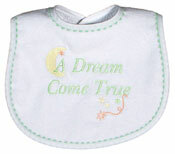 We have finished it with a uniquely embroidered, two inch satin trim that babies love to feel and embrace. The elegant fabric will wash and wear beautifully, given the American workmanship we put into each piece. It measures a nice 28 inches by 36 inches. This receiving blanket can be used at nap time or it can be used as a wrap to cover a young baby, while carrying them. It makes a great cover for a car seat or in a stroller to keep a baby warm. It is wonderful for traveling and can even be used for a very soft play mat. It may even become "the blanket" that baby chooses to be their favorite! 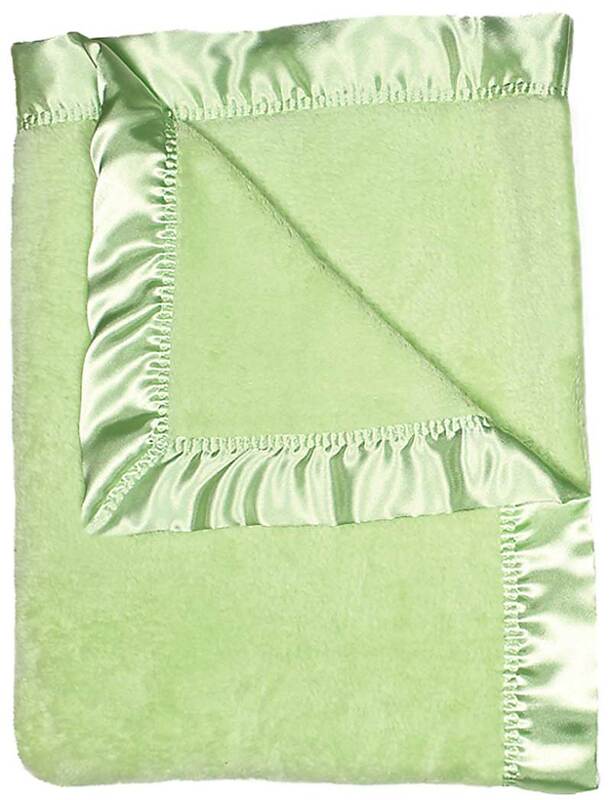 This sage green flurr blanket is for a boy or a girl, but it also comes in blue, pink and white.